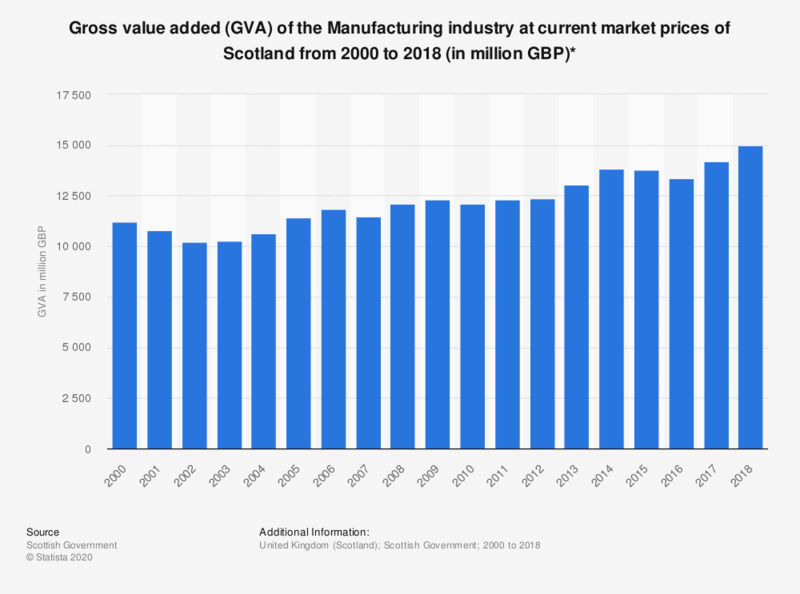 This statistic shows gross value added (GVA) of the Manufacturing industry at current prices of Scotland from 2000 to 2017. During this period the value of this industry peaked in 2017, when it was worth approximately 14 billion British pounds. Global Economic Prospects: Broad-Based Upturn, but for How Long?